Want to Sing with Us? Come be a Part of the Magic! 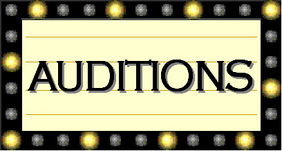 Auditions for a role in Simsbury Light Opera Company’s 2019 production of Gilbert and Sullivan’s ‘Patience: Or, Bunthorne's Bride’ occurred in October 2018. We are still looking for a comedic mezzo-soprano to play Lady Angela, and we welcome additional chorus members. Please e-mail us for more information. and ask to be added to our mailing list! Auditions are typically held at our facility, Basingstoke, in Simsbury, Connecticut.